Have you ever been to a website specifically to look for something and no matter how hard you look you just can’t find it? Most people will give up within a few seconds, hit the back button and go to a competitor. This is why your Information architecture is incredibly important – get it right and you will keep more people within your site, lowering your bounce rate and improving your conversion. In simple terms, it’s about structuring your content to feel intuitive and logical to the end user. Tesco Direct have placed Halloween items within the heading ‘Christmas’ on the navigation bar. Users will struggle to find this as it makes no logical sense – halloween and christmas are completely separate occasions. If a visitor to your website has the intention of browsing halloween things, they will already have expectations of where halloween things will be. Your aim is to try to understand their expectations of where they’ll find halloween related products. Only when you understand this, can you position it in the optimal place. One of the methods I employ to help create intuitive Information Architecture is Card Sorting. It’s an activity carried out with users (i.e. 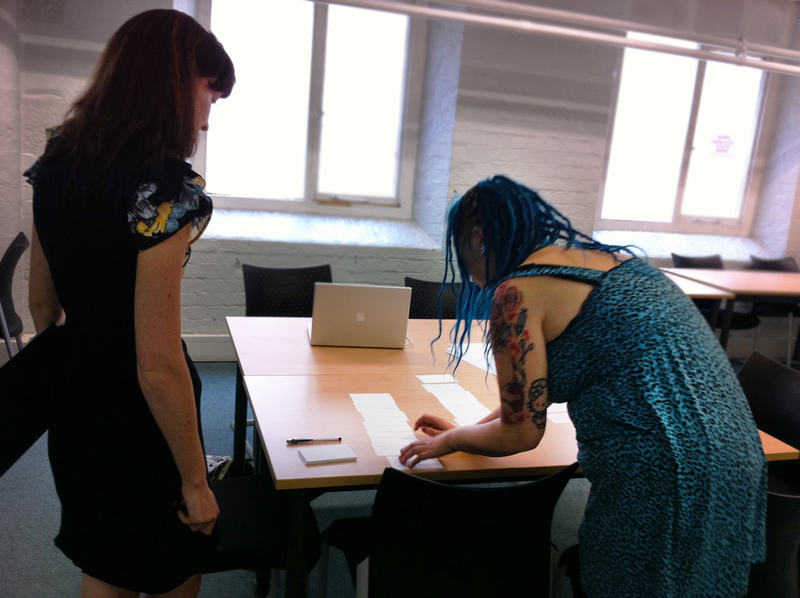 your target audience) using labelled cards to group and organise pages of content. Users categorise the pages in the way that makes sense to them and they can use existing grouping or create their own. What this enables us to do is to see the structure of your site or software from the user’s point of view – we can see and understand their mental model. If you’d like to understand more about how reviewing your IA can help your business or if you’re curious about card sorting please don’t hesitate to get in touch. Wow, marvelous blog layout! How long have you been blogging for? you make blogging look easy. The overall look of your website is fantastic, as well as the content!. Thanks For Your article about Information Architecture (IA) | Usability and UX Blog . Wow, incredible blog layout! How long have you been blogging for? you make blogging look easy. The overall look of your site is wonderful, let alone the content!. Thanks For Your article about Information Architecture (IA) | Usability and UX Blog .